Update - Shaka Shak has expanded into a full restaurant just a little further down the parking lot where Ono Hawaiian Cafe used to be. More info at http://www.theshakboise.com/. The old Shak still stands, but is now a Human Bean coffee stand. 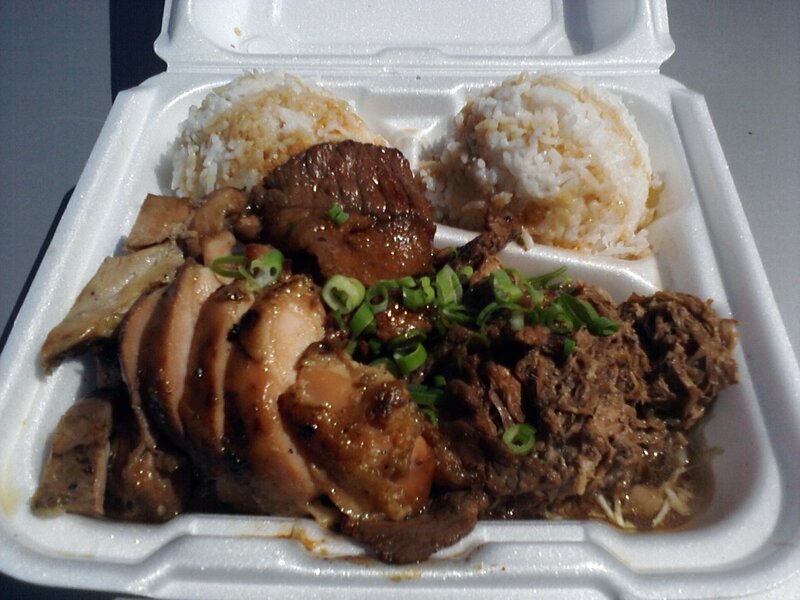 Before we get into this, let me just say that I'm beginning to suspect that I don't really dig Hawaiian food. Granted, I've only been to two Hawaiian eateries, one located in a Meridian strip mall and the other in a parking lot downtown. I had good dishes at both, but nothing about the style of the cuisine really spoke to me, if that makes any sense. That having been said, Shaka Shak was definitely the better of the two. 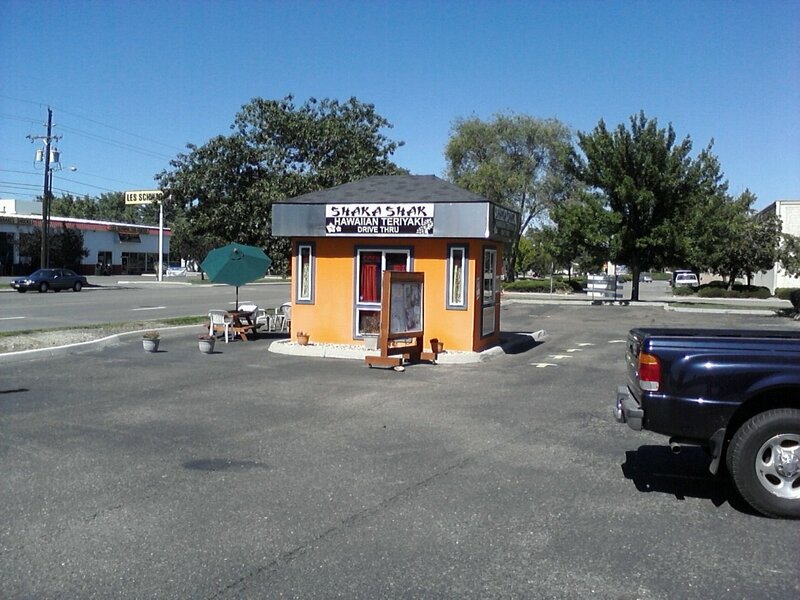 Shaka Shak is, obviously, a shack, and it's located in the 2100 block of Broadway Avenue in Boise. 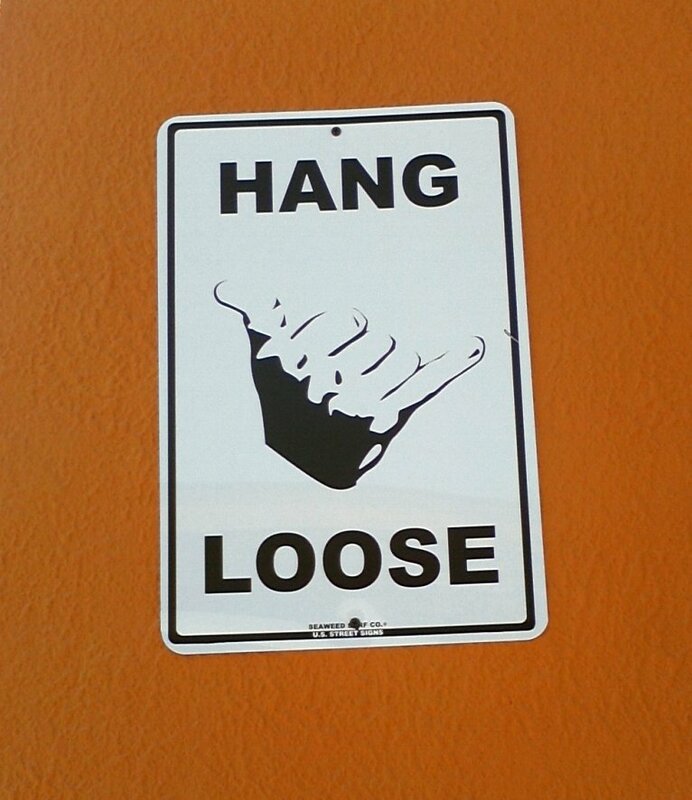 Their neighbors on the block are a Firestone tire store and a strip mall containing, among other things, another Hawaiian eatery. My desire to clarify my feelings about Hawaiian cuisine and my fascination with street food brought me there on a recent afternoon when I had some time to kill. 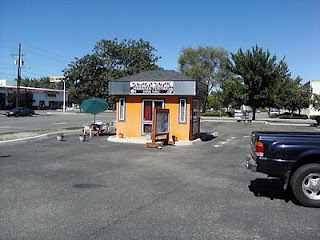 According to the blurb on their website "Roger" (no explanation given for the quotation marks, kinda odd), their founder, despite all his experience and accolades always dreamed of owning a little teriyaki joint. Shaka Shak is the result, though he may have moved on to other dreams because the two employees working when I stopped by were female, and in my experience street food eateries don't usually have an executive chef. The menu is fairly simple and straightforward, and the obvious choice for me was the "Big Wave Board", Shaka Shak's most comprehensive combo meal: chicken, beef, pork, macaroni salad and two scoops of rice. They take plastic and most of their food by its very nature has to be prepared in advance and held awaiting purchase, so in fairly short order a carryout container sat beside me in the car, emitting tantalizing smells while I tried to find a parking space with some shade. 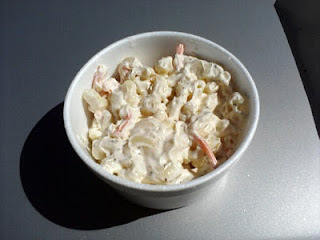 Another preface here: I'm vaguely horrified by the very notion of Hawaiian-style macaroni salad. I understand it's a staple and all that, but it's one of those dishes that seems to have been created by a culinary sadist. The two essential components are macaroni and mayonnaise. LOTS of mayo, like two cups or more per pound of pasta. Then of course other add-ins are optional, such as eggs, carrots, seasonings, etc. On my previous Hawaiian food adventure, the only positive thing about it was the macaroni salad. The sheer amount of mayo was nearly overwhelming, but they knew how to season it to break that up a little. This time, all I could taste was mayonnaise, like if the pasta and carrots weren't there I might as well have just been eating mayonnaise straight from the jar. I'm sure some people would love it, but it was too much for me and I decided to move on to the meats. If you click on the picture above and look very closely, you'll see that all that meat is sitting in a rather substantial puddle of liquid. It didn't make much of a difference to the beef or chicken, but the shredded pork soaked it up like a sponge. I'm not sure what was in that liquid, but mixed with the teriyaki sauce and the smokiness of the pork it was very good. Eventually I started eating forkfuls of pork along with rice to absorb some of the liquid, and it was a perfect combination. That dish in particular, I would definitely go back for. I don't know what it is about pork, but it seems like eateries can pull it off pretty well even if the rest of their food leaves a little to be desired. And since I don't care about the macaroni salad I would just order their "Paddle Board", which is one meat and a scoop of rice. My friend, It is obvious that you are too tight in spirit to just enjoy the food and feel..it seemed as though you are at a taco stand critizing the way the taco was made from the tortilla to the salsa. It is simple fast food not gourmet.. I am sure if you went to Hawaii you will find a lot of Chefs who have inspired others across the globe with a more high end cuisine from the islands which I am confident "Roger" could produce. You should critic Roy's, Alan Wong's, Sam Choy's etc.. for what you are trying to understand and find in an upscale restaurant. Trying to critc a simple plate lunch from Hawaii as Gourmet does not work. The food is made simple, the Pool of liquid is from the Kalua Pig..yes Pig! 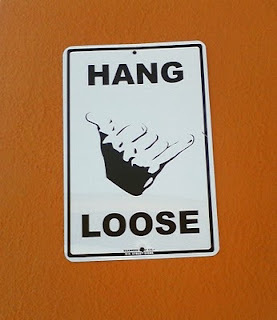 an island term that does not make one turn away from the dish if you can understand..
"Hang Loose Bruddah" It's all GOOD! Friends! I don't know how many of my other reviews you've read, but I have no issue with fast food per se. I've long been one of the most vocal supporters of the local street food scene. That having been said, the chicken was still fatty, the beef still tough and the macaroni salad still underseasoned. I have found better examples of each of these same dishes elsewhere in town. I can happily pass on "gourmet", but tender and flavorful would have been nice. I like to consider myself more of a food enthusiast than a critic. My Facebook page is much more frequently updated and can be found here.